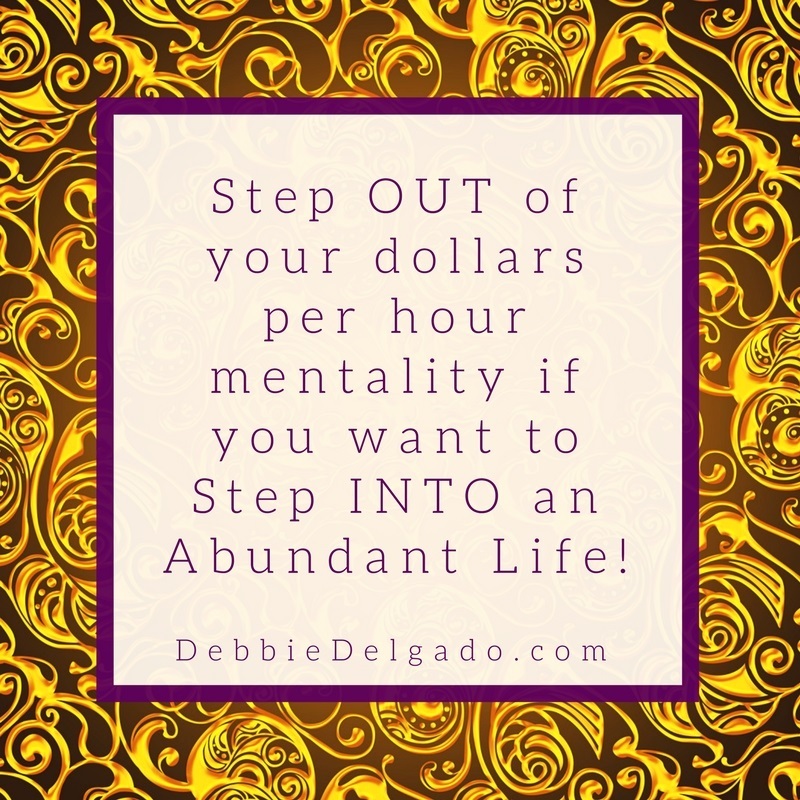 It took me a long time to step out of the dollars per hour mentality that was “programmed” into me in the Corporate world. And it’s one of many shifts over the years that have allowed me to create the amazing life I now lead. I recently made an incredible offer to my followers and had an inquiry from someone trying to figure out how much she would be paying per hour for her time with me. That was an incredible waste of her time. This whole dollars per hour way of thinking actually derives from something much too deep to totally cover here – so, I’ll just sum it up this way. At its foundation, it’s about people receiving paychecks and not really understanding how money is actually created in our society. Money is traded for value, which means results. Most people don’t know this because they think money comes from staying busy at their desk. They mistakenly think they get paid for their time. But the money that comes INTO the company is paid to the company for actual services or products that promise results to the buyer. Unless you are in the sales area of the company, where all of the company’s money is actually generated, you may not ever have had the opportunity to understand this. For those of you who are business owners, however, this knowledge is absolutely imperative if you want to create financial success. Because you can never become financially abundant if you continue to see the world in this way. Because there won’t be enough hours in the day for you to do it. Can you imagine trying to double or triple your income while hanging onto this belief? For most people that would mean doubling or tripling the number of hours they are already working, which in most cases is physically impossible! Hear me now. This is SO important! People do not pay for time with you. They pay for the promise of results – whether that result is a transformed life or business, a beautiful new home they will enjoy immensely, or a gadget that will make their life easier. And if you can get them their desired result in two hours, why would you stretch it out to two months? Time is the only non-renewable resource we have, so why on earth would you want to take more of it to get where you want to go? Here’s the key – the end result people can get by working with you is the true measure of how much your product or service is worth. If what you’re offering makes them healthier, EVERYTHING in their life gets better as a result. If what you’re offering makes them wealthier, exactly what is the possible return on their initial investment with you? I think you get the idea here. So, what would happen if you were to start releasing this whole idea of dollars per hour from your consciousness? How might your life and financial situation change if you were to do that? « Stop Being Afraid to Be You!